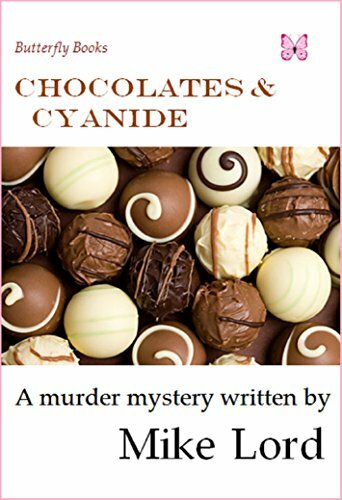 THE BOOK: Chocolates & Cyanide. THE PUBLISHER: Butterfly Books – my imprint for my indie ebooks. SUMMARY: A man is diagnosed with pancreatic cancer, and considers surgery, until a friend notices ayurvedic medicine as an alternative. This involves ingesting cyanide related food and seeds. At the same time a box of chocolates given to him are delivered to the wrong passenger, and she dies after eating one chocolate. The police enquiry worries him as he has a bag full of seeds containing cyanide salts. THE BACK STORY: I myself was diagnosed with pancreatic cancer, about 12 years ago, and ate the seeds containing the cyanide salts. I’m still alive and kicking. 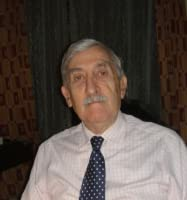 AUTHOR PROFILE: Mike Lord has worked for over 50 years in what is called “developing economies”. Most of the time Mike’s work has been with the thousands of small scale farmers, who have appreciated sustainable livelihoods, so that they now have enough food to feed themselves, and also some to sell so that they have a cash income. That is why most of Mike’s novels are set in these countries and especially the remote locations. In this way Mike discovered ayurvedic medicine, especially in Asian countries, and thus the idea of this novel was slowly hatched. AUTHOR COMMENTS: I do not believe that surgery or radiation is the answer to cancer, and I have observed friends of mine undergoing cancer therapy. Perhaps readers might take note of this book. My brother in law had this surgery and lived a miserable five years before he died without a pancreas. SAMPLE CHAPTER: She met two friends and the three enjoyed a pizza in a local restaurant just off Sandton Square, and chatted and gossiped together until late in the evening. She walked back by herself and was pleased for the security regulations in force in the Sandton vicinity; whereas she was aware some other areas of the capitol city had serious problems. Just she was getting into bed she decided to open her suitcase. The heavy duty plastic zip fastener was easy, and the top folded back. The brown paper parcel immediately attracted her, and she didn’t really look at the other items on the top of the suitcase. She didn’t bother to read the name on the label and just opened the brown paper parcel, only to find a box of milk chocolates, wondering who would have given her such a present. She just had to open the box, and cut the cellophane seal around the edge with a knife from her kitchen. She knew that the chocolates would be laid out nicely, but was surprised to find one slightly larger than the others in the centre of the tray, almost winking at her. There was no foil wrapping just the chocolate with a design on the top. She could not help herself but picked it up and put it whole into her mouth. “Apples,” she thought, and then “almonds,” came to her mind. She lay back on her bed to sleep. WHERE TO BUY IT: Amazon, Smashwords, Apple, Barnes & Noble, etc. This sounds like a very worthwhile book to check out on many levels. I will do so.